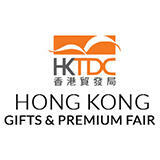 Hong Kong Gifts & Premium Fair is a premier event featuring gifts and stationery products. The ambiance of the show is far more superior than the typical domestic industry standards. It’s been a premium event to explore innovative gift products and stationery. The show provides a tremendous platform for marketing, trade, education and an opportunity to develop potential contacts and alliances with international buyers. Hall of Fine Designs - devoted to exquisite and upmarket gift items of outstanding designs. World of Beauty, Fitness & Well-being - featuring a great variety of cosmetics and fitness products. Features over 4,360 international exhibitors and attracted more than 48,316 buyers around the world. 4 01 May 2018 Kim Se Hyun Manager at SmartCityGrid Co., Ltd.
Advertising Gifts & Premium, Corporate Gifts , Fashion Jewellery & Accessories , Figurines & Decorations , General Gift Items, Green Gifts, Luggage & Travel Goods , Packaging, Party & Festive Items/Wedding Favours, Personal & Well-Being Gifts, Pictures & Photo Frames , Stationery & Paper , Tech Gifts, Testing, Inspection and Certification , Toys & Sporting Goods , Umbrella and Outdoor Goods, Watches & Clocks, Trade Services.